What is a palette knife & what do you do with it , ever ask yourself this question…? If yes this class is for you, come get into the paint and learn! 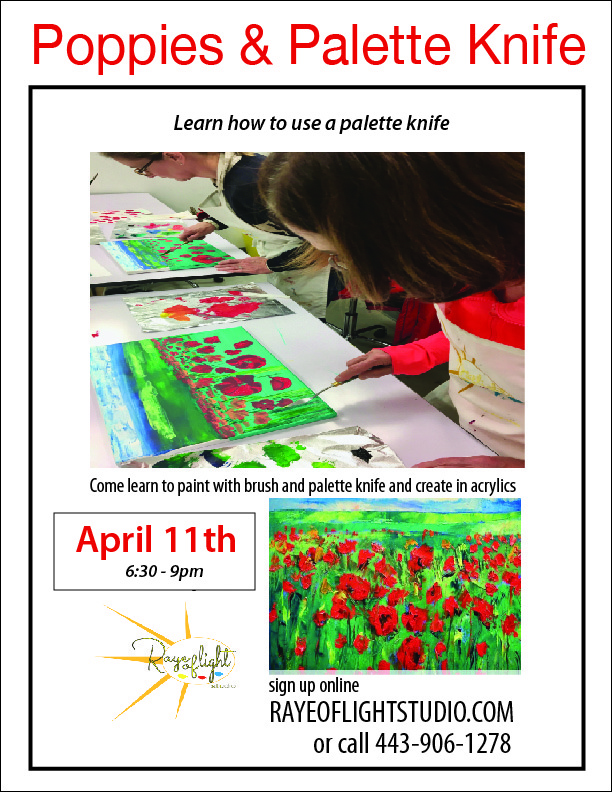 Poppies and Palette knife will teach you how to use the knife and how to modify your paint to create a canvas with texture! This is an acrylic class for any ability we will teach you step by step how to paint your field of poppies. All materials and instruction included for this 2.5 hour class. We provide free parking and aprons but dress accordingly . As always you can bring food or drink into the studio if you wish.